Created, designed and built by Nikolai Zykov in 1984. Height: 86 cm / 34 in. Materials: papier-mache, foam plastic, foam rubber, wood, metal wire, fabric. First presentation - December 26, 1984, Concert Hall of the Moscow Aviation University. Prototype of the puppet is a hero of Russian fairy-tales Ivanushka-Durachok. 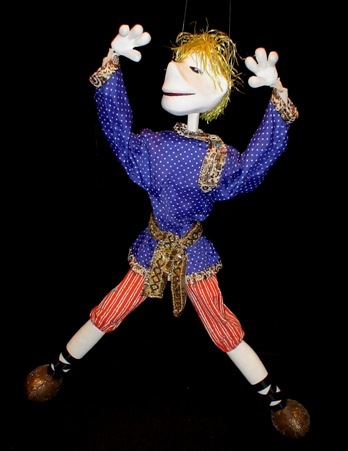 The puppet dances Russian folk dance Kalinka and dances on hands. See PHOTO ALBUM of RUSSIAN DANCE.